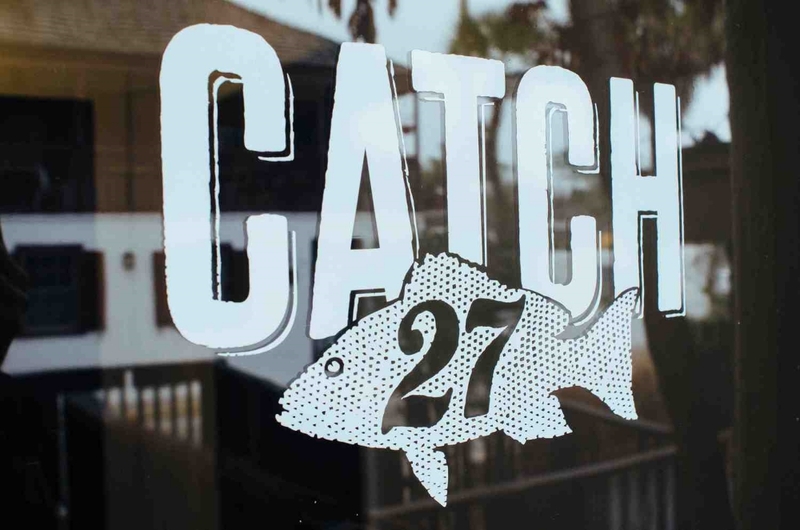 Located in the heart of St. Augustine, Florida, the oldest city in the United States, Catch 27 is a fresh-catch seafood restaurant with great food and atmosphere. Catch 27 stands in the heart of historic St. Augustine, Florida. We believe in preparing and serving fresh, locally caught seafood from the nation's 27th State. We cook everything from scratch with seasonal ingredients and local produce. Our Fish, Shrimp, and Clams are caught in Florida waters, delivered fresh every day. 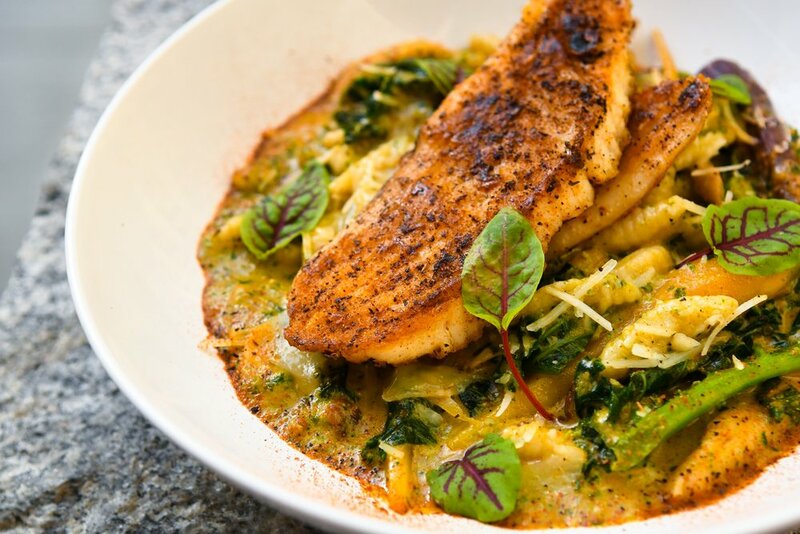 The selection varies from Snapper to Sheepshead, Mahi Mahi to Triggerfish, and Flounder to Black Drum. Sea folk and Landlubbers will all find something they'll enjoy. Crispy corn fried oysters, housemade tomato-bacon jam and local micro greens. Pico de gallo, guacamole, and datil pepper pimento cheese fondue served with fried corn tortilla chips. Smoked blue with Georgia honeycomb, house pimento cheese, seasonal Cypress Point Cheese, accoutrements and crostini. Sriracha aioli, avocado green goddess dressing and housemade ketchup. Locally sourced bread, toasted and topped with our daily selection of local ingredients. Local hydroponic lettuce, dried cherries, spiced pecans, meyer lemon-honey vinaigrette. Croutons, boquerones, chives, cured duck egg yolk, creamy caesar dressing. Field greens, local vegetables and house dressing. Fresh blackened fish with lettuce, tomato, onion, and housemade remoulade. 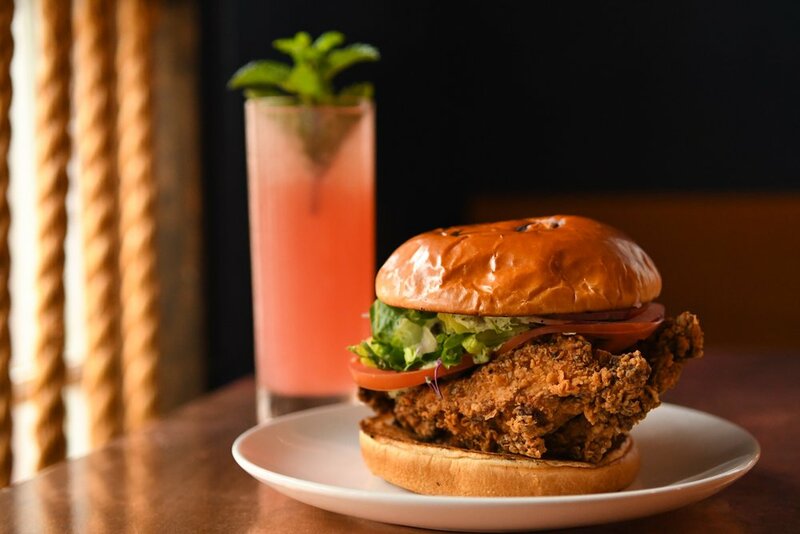 Fried chicken breast, field greens, red onion, tomato and avocado green goddess dressing. Lightly poached St. Augustine shrimp with Old Bay mayo, celery, lemon juice, herbs and local micro greens served on a toasted roll. Seared blue crab cake with fried green tomato, lettuce, onion and housemade pimento cheese. Crispy bacon, bacon jam and bacon aioli, topped with field greens and tomatoes on toasted Cuban bread. Lightly blackened fish or shrimp in flour tortillas with housemade pico de gallo, lettuce, white cheddar and guacamole. White cheddar and bacon Canewater Farm grit cakes, topped with sherry cream and 5 pepper relish. Buttermilk mashed potatoes, roasted brussels sprouts and broccoli, meyer lemon-caper beurre blanc. With sriracha aioli, avocado green goddess dressing and housemade ketchup. A spicy clam and bacon red chowder. With croutons, boquerones, chives, cured duck egg yolk, creamy caesar dressing. Chef's daily preparation of what's in season. Local catch, blackened and served with trinity risotto, sherry cream sauce, aged parmesan and red vine sorrel. White cheddar and bacon Canewater Farm grit cake and collards, topped with sherry cream sauce and 5 pepper relish. Florida Shrimp w/ Squash "Pasta"
Spiral cut squash pasta, grilled artichoke hearts, leeks, roasted shiitakes and mornay cream sauce. Pan seared scallops, rootbeer braised pork belly, ratatouille and butternut squash puree. Homemade ricotta cavatelli pasta, sugar snap peas, field peas, snap pea pesto, carrot ribbons, carrot puree and house ricotta cheese. Buttermilk mashed potatoes, roasted brussels sprouts and broccoli, meyer lemon-caper beurre blanc. With 1565 Artisan Coffee ice cream, Fiction Donuts, and St. Augustine Distillery Bourbon caramel. Served with 5 spice biscotti. Order a gift card for that special someone in your life! We are located at 40 Charlotte Street, in the heart of St. Augustine, Florida. There are a few lots around the restaurant that you can park your car. We only take reservations over the phone or in person, so if you are looking to reserve a table for the evening, please call (904) 217-3542.